For a variety of reasons, a brand may need to update the UPC of a product on the Amazon marketplace. In this post we’re going to break down exactly how to go about this. SKU, UPC, EAN, ASIN AND FNSKU - WHAT IS THE DIFFERENCE? UPC stands for “Universal Product Code”. 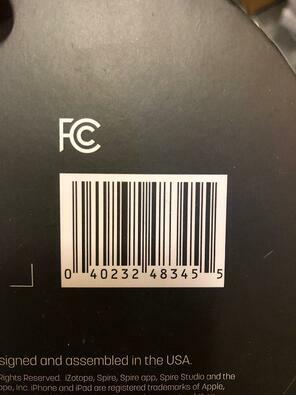 Typically the 12-digit UPC is printed on the product packaging or label of each SKU as a barcode. European brands may use a EAN or “European Article Number”, which is a 13-digit barcode, in place of a UPC. A SKU must have a UPC or EAN in order to get listed on any Amazon marketplace. Once the product listing has been created, Amazon will generate an ASIN, which is a “Amazon Standard Identification Number”, a 10-character alphanumeric unique identifier that's used within the Amazon ecosystem. Above: Product description found on the product listing. The ASIN for this product has been highlighted. In addition, Amazon will also generate a FNSKU, which stands for “Fulfillment Network SKU”. Each individual SKU on Amazon will be assigned a single ASIN, but each ASIN may be sold by various different parties. 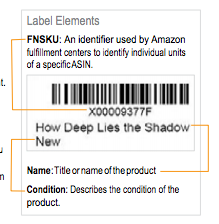 Amazon uses the FNSKU to identify the product as belonging to you. So when you get a sale they pull from your inventory, rather than from another sellers’. Above: Example of a FNSKU on an Amazon label. WHY WOULD YOU NEED TO UPDATE A UPC? User error. When creating the product listing incorrect UPC details were uploaded. 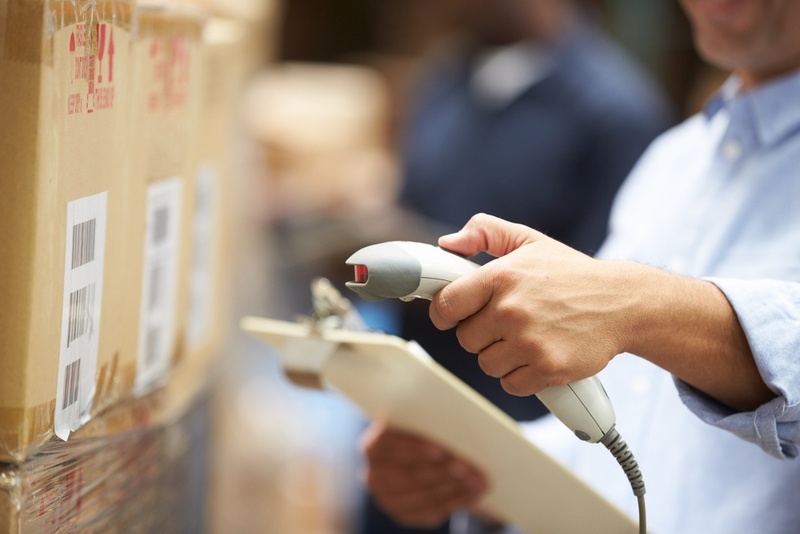 An incorrect UPC will cause issues for Sellers trying to generate an FBA shipment or Vendors trying to fulfill a new PO. New in-house labeling system. If you assign a SKU a new UPC in-house, you will need to inform Amazon of this update. For example, a brand may decide to use a different UPC for the same product sold in the US compared to Canada in order to better track inventory levels and sales. CREATE A NEW PRODUCT LISTING? There should be no duplicate listings on the Amazon marketplace. If you realize that a product listing has an incorrect UPC the solution is not to simply create a new product listing. Eventually Amazon will pick up on the duplication and merge the listings which could result in the loss of valuable product reviews. Another benefit is that the same product will be linked by the same ASIN across multiple marketplaces. For example, let’s say Product A has 25 product reviews on Amazon.com. When Product A is launched on Amazon.co.uk the ASIN will be the same across both marketplaces. Although Product A will start with 0 reviews on Amazon.co.uk, there is a neat feature which involves Amazon giving UK shoppers insight about the product reviews from the US marketplace. This insight builds trust in the new marketplace and helps with conversion rates. If you’re using the wrong UPC in either Amazon market the ASINs won’t match and therefore you won’t be able to access this “Most helpful reviews on Amazon.com” feature. Note: if a SKU changes fundamentally in nature Amazon requires the seller or vendor to use a new UPC and create a new product listing. For example, if a model of wallet is made out of Horween leather initially but this is updated to faux leather, you cannot continue to sell the faux leather wallet under the original Horween UPC, even if you update all the product listing info. This is because any existing customer feedback on the listing is a review of the Horween product, and it would be misleading to substitute in the faux leather product in its place. Depending on the product category, you may be able to add the faux leather SKU as a child variation on the existing product listing, or you may need to create a brand new parent product. If there are only slight changes to the nature of a SKU (i.e. updated product packaging, new product insert), you are not obligated to create a brand new listing with a new UPC. If you are ever in doubt about whether you are required to create a brand new listing we’d recommend talking with Seller or Vendor support. WHAT IS BOBSLED’S PROCESS FOR UPDATING A UPC? Start by opening a case. Immediately after noticing the issue, open a case in writing with Seller or Vendor support. Log in to your Seller or Vendor account, click ‘Help’ in the top right hand corner of the screen, and click ‘Contact Us’. Write an email to support explaining the issue. It’s important to be polite yet at the same time stress the urgency of the situation. A good way to do this is to let Support know that an incorrect UPC will ultimately impact the Amazon customer experience in a negative way. We recommend attaching relevant screenshots and photos to your message as visual evidence of the problem. Follow-up with a call, escalate accordingly. In some very rare instances your UPC issue will get solved immediately. But most of the time you’ll need to follow up with more cases and phone calls. On the phone it’s more than likely that the first rep you speak with won’t be able to help. It’s important to be persistent and ask Support to escalate the problem to someone who understands your issue and can assist. Get the right info from Support. After several attempts you’ll eventually get connected with a Support rep who’ll be able to solve the problem over the phone in real time. In our experience it will take the Amazon system 48-72 hours to recognize the correct UPC and it may take up to 5 days for the change to reflect in the back-end of the product listings. We recommend asking the Support rep to follow up after the call with a) screenshots of the update on the Amazon side and b) specific instructions on how to handle any related issues. For example, due to the incorrect UPC, a vendor may need to cancel a PO and wait for a new one which will appear once the UPC has been correctly updated. Check the problem has been solved, and then check again. Finally, it’s important to triple-check that the changes made by the Support rep actually take effect as planned. Even if the update was correctly implemented an Amazon glitch could undo the change and you will likely need to re-open the case. Trying to connect with the same Support rep who initiated the change is always recommended. Although it can be a painful exercise, updating UPCs on Amazon is sometimes a necessity. To learn more about how Bobsled can help with this and other operational tasks please schedule an appointment below. Newer Post FBA Small & Light: Is It Worth It?